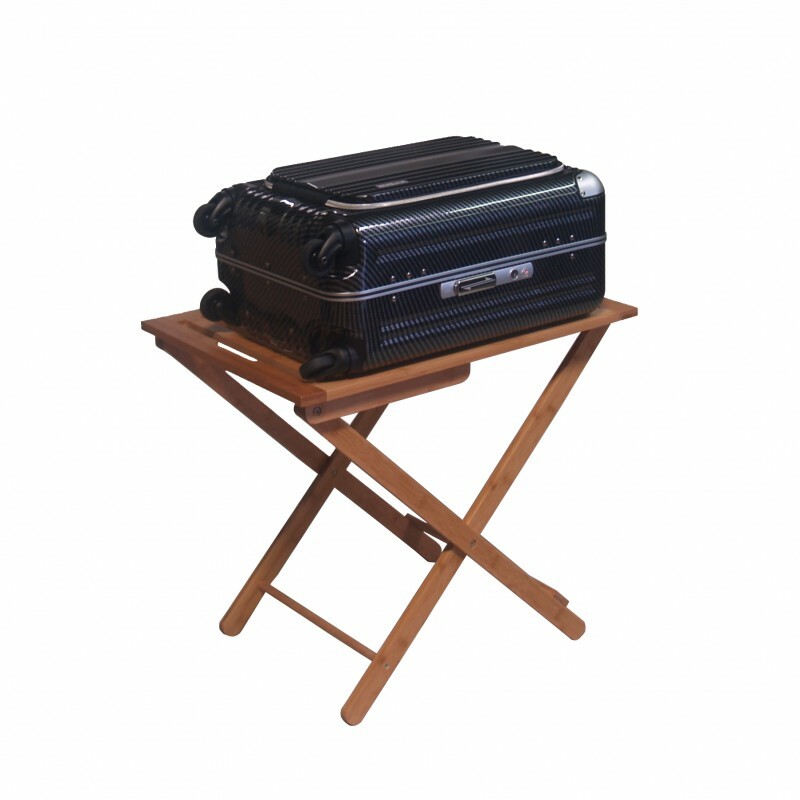 Feature1 Dimension: 24" W x 18" D x 22" H Folded: 18" W x 2" D x 29.5" H Weight: 6 lbs. 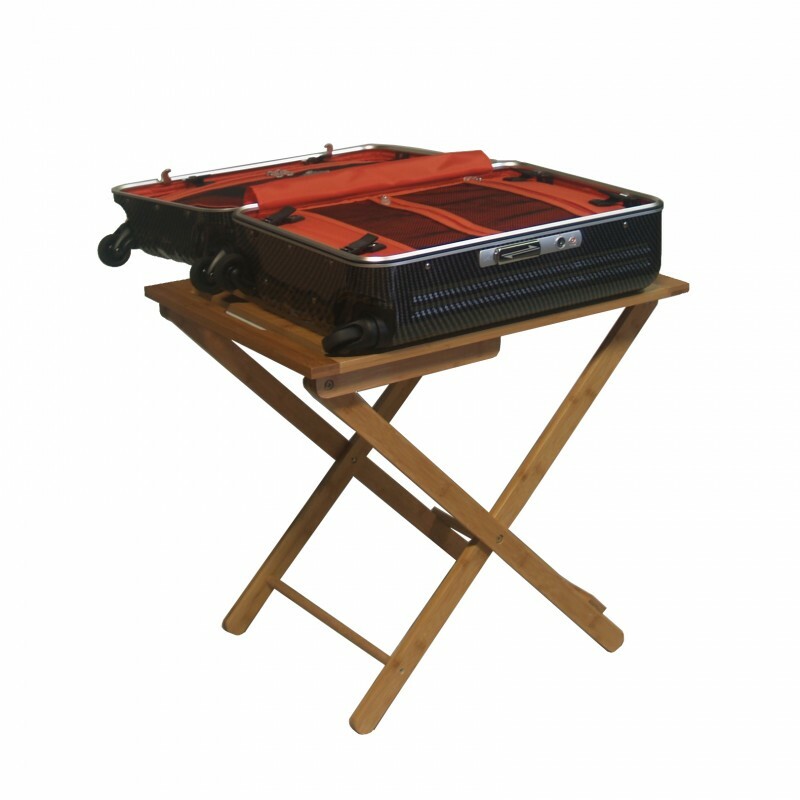 Be prepared for family and guest overnighters with this sturdy Bali luggage rack. 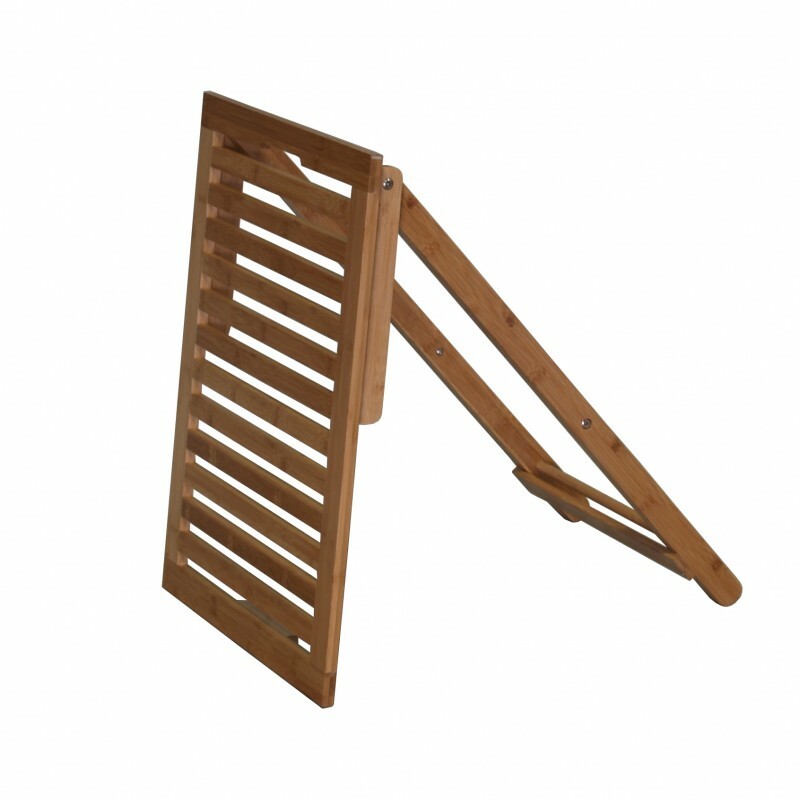 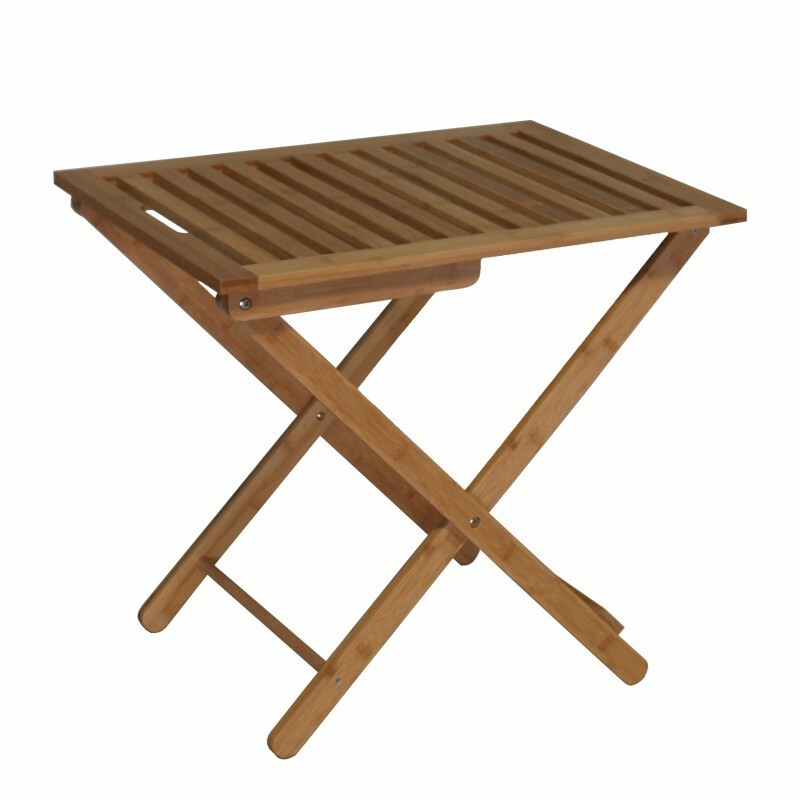 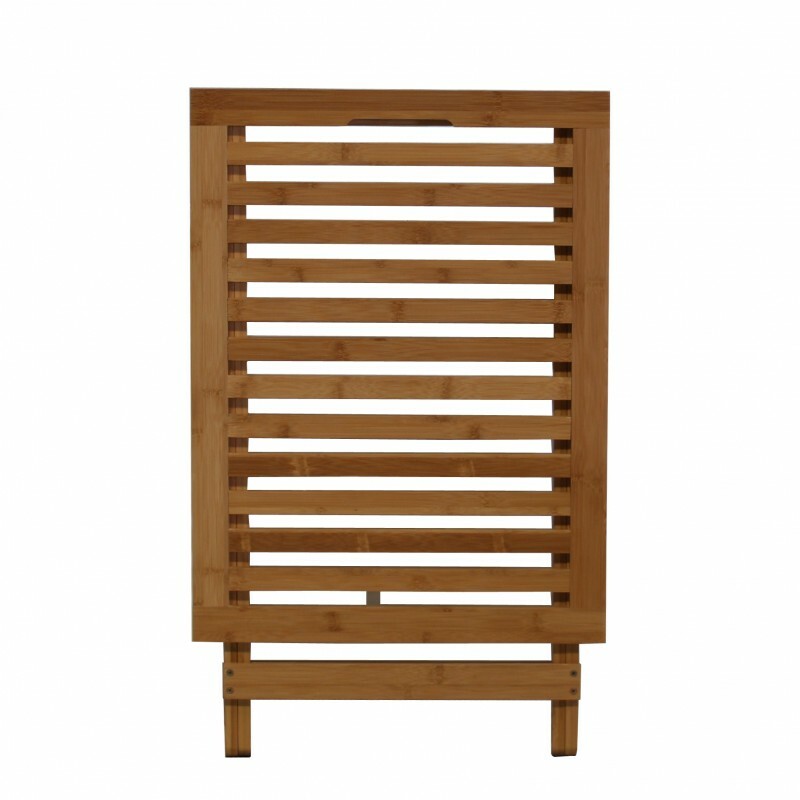 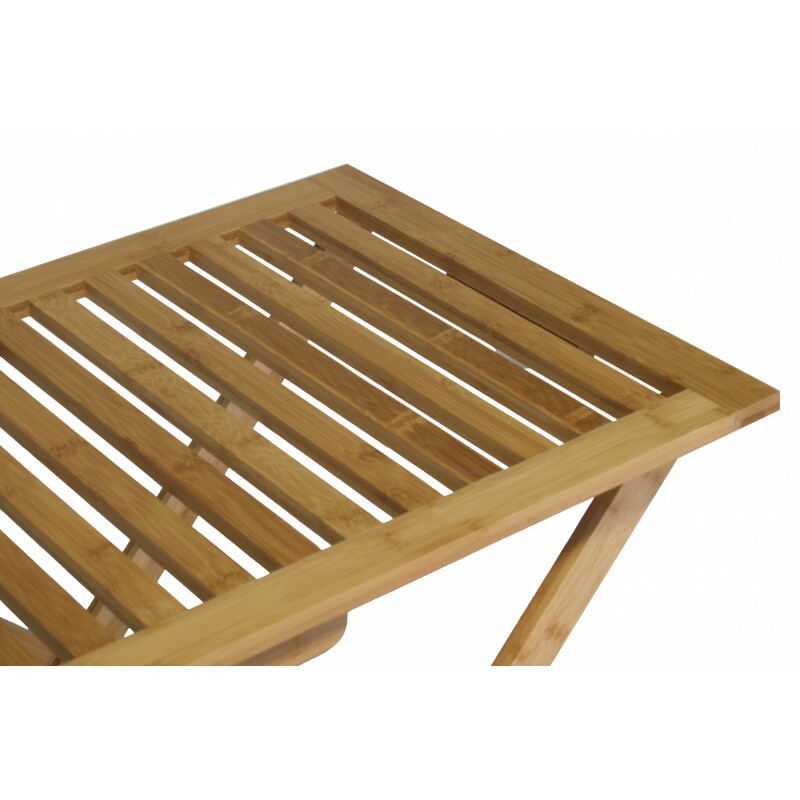 This dependable dark brwon bamboo rack holds up to fifty pounds and folds away for easy storage. It is a nice furniture with contemporary and stylish design which can be used as a coffee, side, and end table.